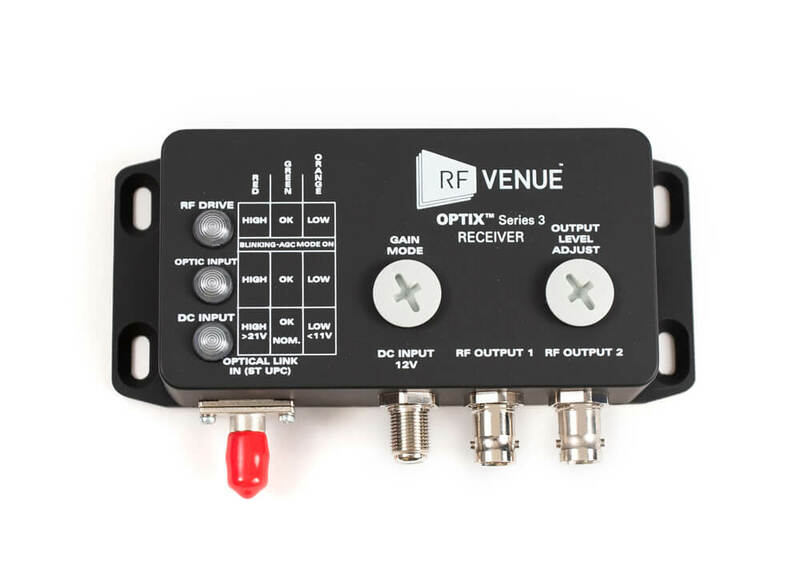 OPTIX Series 3 is a high performance RF to fiber optic (RFoF) conversion system designed to facilitate the remote placement of wireless audio antennas. 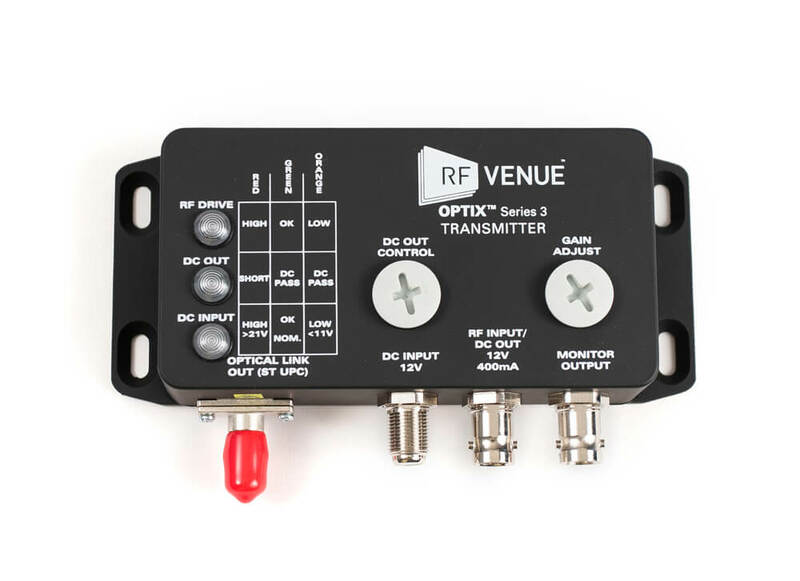 The OPTIX Transmitter module converts RF signals arriving from an antenna source into a singlemode optical signal, sending that signal down a length of fiber-optic cable to the OPTIX Receiver module which converts the source signal back into RF. 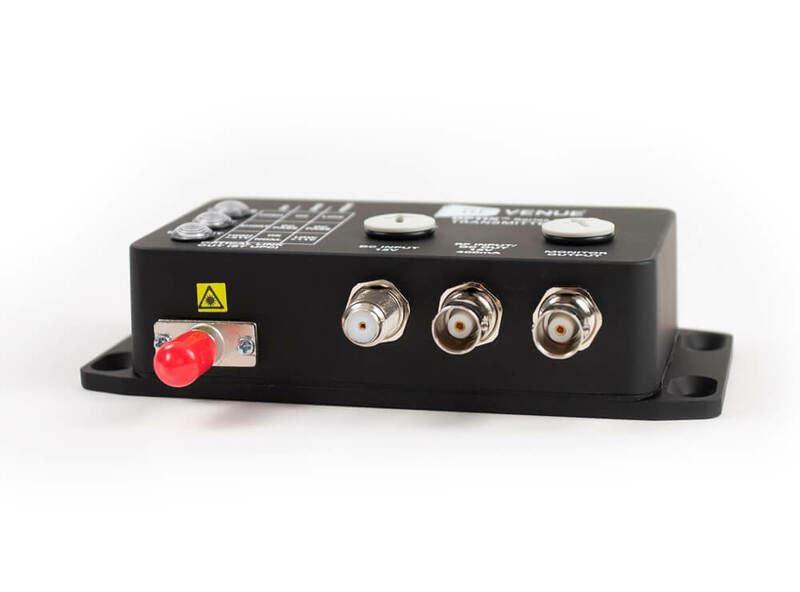 Without any signal loss over the optical cable, the OPTIX system can extend the range of antenna placement up to several kilometers, eliminating the need for bulky and lossy coaxial cable runs. 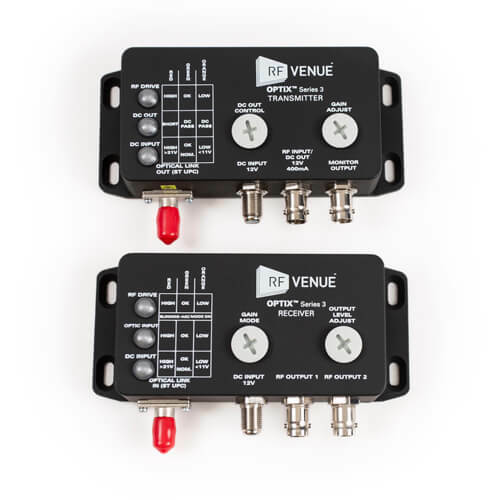 Well-suited for live production as well as installed sound, OPTIX Series 3 features extensive user configurable controls to manage signal level, apply DC power for active antennas or amplifiers, and even directly monitor outputs to dial in performance. 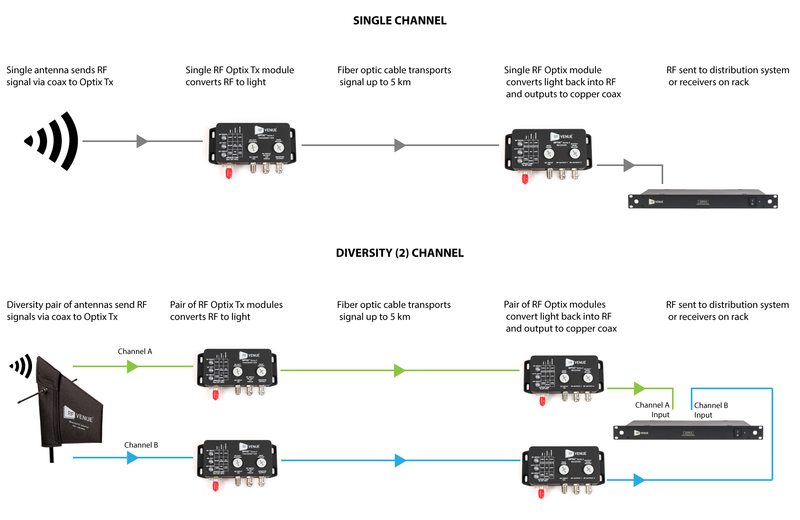 Compatible across VHF, UHF, and the 900 MHz band, OPTIX Series 3 is compatible across any brand wireless audio system. What are the factory settings for the Optix Series 3? On the TX units the DC Control is preset to (0) and the Gain Adjust is preset to (A). On the RX units the Gain Mode is preset to (1) and the Output level is preset to (2).